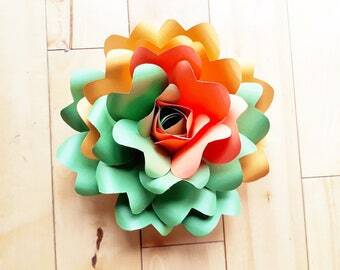 Please choose up to 4 colours (1 colour each) for the main part of the flowers and up to 2 (each) for the centre of the flowers. 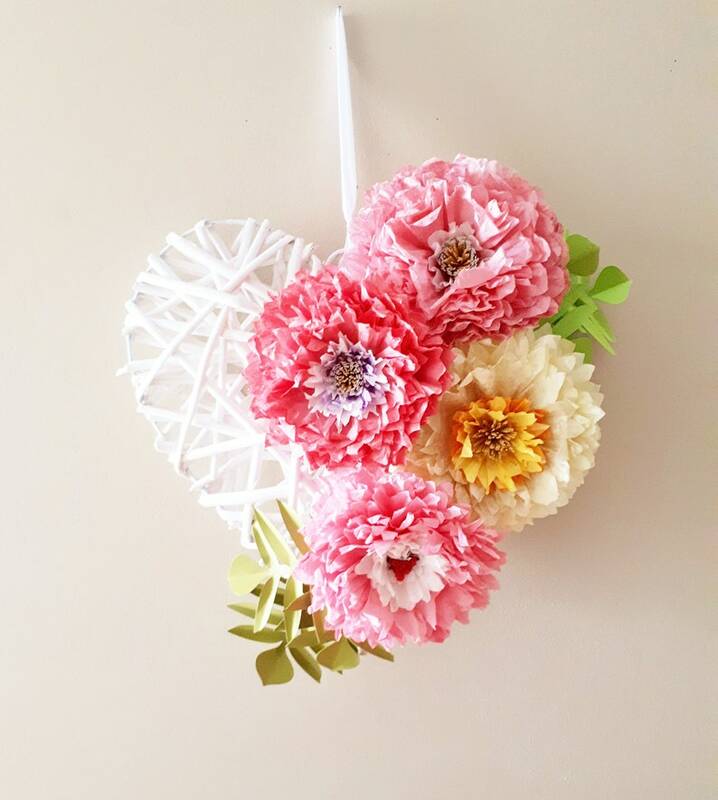 Our paper flower heart wreath is hand made with 4 5 - 6 inch hand dyed coffee filter flowers in up to 4 colours (1 colour each) for the main part of the flowers and 2 (each) for the centre of the flowers. Wreath measures approximately 13 inches high by 15 inches wide and comes with a ribbon for easy hanging.